Homeowners who have FHA loans should consider the streamline refinance opportunities that could lower the rate, reduce your payment at no cost to you out of pocket! Cash out refinancing is not available with the FHA streamline program, but for rate and term refinancing, no other loan programs could possibly offer more advantages. Read, Research and Review the latest FHA programs for Home Buying and Loan Refinancing. The streamline product is unique to FHA. Rate Disclosure: The payment on a $200,000 at 3.25% is $870.41. This rate includes $995 due at closing. The APR on this proposed loan would be 3.31%. Be aware that the payment sample above does not include taxes, property insurance and monthly mortgage insurance premiums. 9-26-12 680 fico score at 96.5% LTV. FHA streamline refinancing is easy to qualify for if you already have a FHA mortgage that you have been paying on time with for the last year. FHA streamline lenders will also want to make sure that your employment is still intact, but less documentation is required! Critical Dates: May 31, 2009. Ask your loan company when your mortgage was originally endorsed by the FHA for insurance purposes. If it turns your mortgage was insured any time after May 31, 2009, you will not be eligible for this version of the FHA streamline program. • No new verifications of your income or employment status. Our Lenders offer no cost refinancing with the "FHA streamline" for lower refinance rates and monthly payments. According to the Federal Housing Administration, one of the many benefits of the FHA streamline refinance is the freedom borrowers get by having a FHA loan with no penalty or charge for refinancing or early-pay-off. For example, if you buy a home in August and the FHA rates decline in October, you can get a FHA streamline refinance as long as your monthly payment is reduced. Most FHA borrowers cherish the power of FHA streamlines because it takes the pressure off if you know you can always refinance when you need to. If you presently have an FHA mortgage on your primary residence, there is a good chance you may qualify for a no cost streamline refinance that lowers your FHA interest rate and reduces your monthly mortgage payment without increasing the principal amount owed on your first mortgage. FHA streamlines provide a rare opportunity for FHA borrowers to refinance any time the interest rate drop to level saving them more than $50 a month. Guidelines on FHA streamlines could be changing, so ask your loan agent how this could impact the FHA streamline program. In breaking news, the President recently expanded the Home Affordable Refinance Program to include the government streamline as well. Compare Rates and Terms on Low Cost Refinancing on FHA Streamlines! FHA streamline rates have fallen to the lowest level since Eisenhower was President! FHA streamline rates are as low as or even lower than conventional interest rates so don’t sit back waiting for lower rates. If you have made your loan payment on time and you already have a government loan, the FHA streamline refinance programs are easy to qualify for. With the FHA streamline, no income documentation is required so if you have had debt to income ratio problems before, apply now for a streamline refinance. Equity should not be an issue either, because in most cases, the FHA streamline mortgage does not require an appraisal. FHA rates have never been more attractive so act now and lock into the lowest streamline rates in years. FHA streamline loans are highly regarded for FHA customers who have an interest rate over 7% or have an adjustable rate FHA mortgage that has a teaser rate about to expire. FHA customers find themselves in the unique position of being to refinance their mortgage without the documentation requirement that conforming loan customers must go through to qualify for mortgage refinance loans. FHA loans offer first time homebuyers and bad credit borrowers an affordable low rate home mortgage. Congress recently passed a bill for higher FHA limits, so check with your loan officer to see what FHA loan requirements are needed for your eligibility. FHA Customers May Qualify for a Streamline Refinance with No Cost and Lower Rates! FHA mortgage lenders in every state continue to endorse FHA streamline loans for existing FHA clients seeking a better interest rate or more affordable loan terms. Today's fixed rate streamline loans are offered at record low interest rates, so get approved while the payments and rates are at rock bottom. Even if you fear the value of your home has declined, many FHA streamline mortgages do not require a new appraisal! The President announced more steps to help struggling homeowner. His new plan was created in an effort to stimulate a recovery to the housing sector. With the expanded criteria for the FHA streamline refinance, even borrowers that are strapped with an underwater mortgage may have a new solution to their refinancing woes. - This refinance loan must demonstrate a net savings of at least 5% in your monthly principal, interest and mortgage insurance payments, This new streamline refinance program will go into effect on June 11, 2015. With the federal and state governments pushing for mortgage rate reductions in 2012 and 2013. Rates for streamline loans have dropped again. Many FHA lenders report lower mortgage rates for streamline refinance loans that are helping existing FHA customers save money every month. Since rates are low and property values are rebounding more and more FHA borrowers are reevaluating FHA with the streamline refinance. 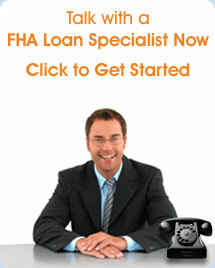 Get a free rate quote for the FHA streamline loan today. This is not a commitment to approving a streamline. Certain restrictions may apply on the FHA streamline refinance.